What exactly do you need in oven cleaning services when you need the oven cleaned as efficiently and expertly as possible? You may not think much about what it takes to clean the oven, especially if this is a task you rarely take on yourself. However, it is important that you get the right kind of services for your specific oven so that it works even better before you decided to have it cleaned. While considering what kind of cleaning you need for your oven, you also need to think about who you want to hire to do the cleaning. One thing you need to consider is what kind of oven you have. You want to look at the brand name and find a service that can service an array of ovens including your specific brand. Your service needs to understand every nook and cranny of your oven so that it can be cleaned without damage or otherwise affecting the way your oven works. 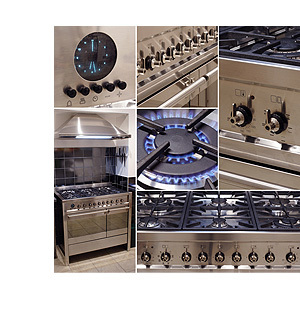 You should also consider whether or not the service can clean an electric or gas range depending upon your oven. Your oven cleaning service also needs to operate at a level of professionalism that respects your property and your home. You want oven cleaning services that can offer you mess free service that not only gets your oven in showroom condition but also does not disrupt any other furniture or appliances in your kitchen. Of course, this means you want services that use staff with the proper credentials in their service area. A good service will follow a checklist that assesses your oven to provide the right internal cleaning. Trained experts know how to disassemble the door and provide the external cleaning your oven needs. The racks and shelves need to go through a process of dip cleaning and the door should be rinsed. After the door is reassembled and all parts refitted, your cleaner should do the finishing touches of external polishing before giving the oven the final check. This process assures a quality job each time. Another factor you should consider is whether or not your service uses environmentally friendly methods to clean your oven. Many chemical cleaners can give off harsh fumes and residue that can get into your food. These chemicals can also get into the air, which can be harmful to the health of you and your family. You want to go with a service that uses nontoxic cleaning so that you keep your family and any pets safe from the potentially hazardous effects of chemical cleaners. Whether you own commercial property for renting or need cleaning for schools or other such organizations, you want to find the best oven cleaning services possible. It is not only important that your oven looks good after cleaning but also functions as well as a new oven and does not expose you to harmful chemicals. Cleaning your oven is a serious business, so you want to find qualified professionals who understand what it takes.